We are pleased to announce that from our free server and service monitoring service supports SPDY. What does it mean for you? It means significant improvement of page load speed. SPDY was developed in Google and aims to reduce web page load time. SDPY works only while using secured by SSL connections. Happy monitoring! Nobody likes to sign up and to keep hundreds of passwords from various web services. We don’t either. So we integrated Google OAuth feature at ServerBeep which allows you to start using our free monitoring service without creating a new account. Now it will to take few seconds to start monitoring your web sites and services. Start to monitor for free now! Kindly meet our re-designed version of free server and website monitoring service ServerBeep.com! We do hope it will allow to monitor your websites and servers in a more convenient way. As always, your suggestions are most welcome. Thank you for choosing our service. Best wishes for a happy and prosperous New Year from ServerBeep.com Team. Happy holidays! If it’s not monitored, it’s not in production. Today we have updated our server and website monitoring service with few fixes and improvements. One of them is new check port: RDP. 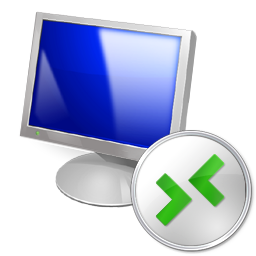 RDP stands for Remote Desktop Protocol. It allows to connect to remote Windows servers to use them or to configure. So now our users are able to monitor their Windows servers and get email notifications if servers are inaccessible due to some reasons. ServerBeep.com is an open for discussion monitoring service. We are always glad to get your feedback. If you have any suggestions or improvement ideas please contact us. To get latest news on our new features as soon as they are released you can add our RSS feed to your reader or follow us on Twitter. Our Linux server monitoring daemon is called sb-daemon. Here are few facts about it. 1. It’s written in pure Python. We conducted tests on Centos and Fedora with Python versions 2.6 and 2.7. So it should work properly on other operating systems with mentioned Python versions. 2. It doesn’t require external libraries or tools. To start using our server monitoring you don’t have to install anything except our daemon since it doesn’t have third-party software dependencies. 3. sb-daemon reads only /proc filesystem. sb-daemon is open-source Python script. You can check it to investigate how it works. To get performance parameters we check only /proc filesystem. 4. sb-daemon doesn’t fork processes. We do not fork any processes from Python. Everything you may want to monitor we get from /proc filesystem so it doesn’t lead to any performance issues. 5. sb-daemon only sends data to ServerBeep. Our software never requests any data from your servers. sb-daemon doesn’t open any listening sockets but only sends data to our servers. IPv6 is a new version of IP protocol. It has a lot of significant differences and should replace the old IPv4 in the nearest future. IPv6 allows to identify up to 4,294,967,296 unique addresses. ServerBeep.com is glad to say that our service supports IPv6 from the very beginning. We have native IPv6. One of the most notable differences from the old version is notation. An IPv6 address is represented by 8 groups of 16-bit values. Each of them is represented as 4 hexadecimal digits and separated by colons. For instance, one of our IPv6 addresses is 2a01:4f8:130:32a4::28. So if your service or website have IPv6 version you can use our free service to check them without any issues. 1. If you use website monitoring you will be able to be aware of an outages before your customers. Nobody wants to know about his website inavailability from the customers. Nobody likes to get a call from an angry client. Our free and simple website monitoring ServerBeep.com can help you to be the first to know if something goes wrong. 2. It’s not possible to fix the problems you don’t know about. An issue can happen five times a day and last for a 5 minute. Even if you use your own site very often it’s possible you won’t see any issue. But reliable website monitoring system will. When you get up in the morning you can take a look at your dashboard to check if it was smoothly running during the night. 3. Multiple contacts allow your colleagues to track your site availability during your days off. To rest on your holidays you can add your collegue contact email to get the notifications to make sure everything is working. You don’t need to worry if your site is up or down while having a rest. It’s your time. 4. Even if your site has high uptime you never know when it goes down. The datacenters can have power issues, hard disk drives can fail.Only if you know about a problem you can handle it in a proper way. You can contact your technical specialists to ask them fix the issue, start to display maintenance page or post a tweet about the problem. And your customers will feel your care. Register for free and get all benefits! Now nginx on backend will replace all remote IP from frontend server with the one from X-Forwarded-For HTTP header. If you need more information about ngx_http_realip_module you can get it on nginx oficial site.